The ICT Conference 2018 is expected to bring together more than 5,000 organisations, businesses, universities, research centres, policy makers and public bodies interested in submitting proposals for 2019 calls of Horizon 2020 and who are seeking potential research and technology partners. The National Documentation Centre, as National Contact Point for the Horizon 2020 ICT programme and co-ordinator of Enterprise Europe Network-Hellas, will provide support for participants in the ‘ICT Conference 2018’, the largest business networking and research organisations event in ICT. The ICT Conference 2018 is taking place in Vienna on 4, 5 and 6 December 2018 and is expected to bring together more than 5,000 organisations, businesses, universities, research centres, policy makers and public bodies interested in submitting proposals for 2019 calls of Horizon 2020 and who are seeking potential research and technology partners. During the conference, European Union priorities in the digital transformation of society and industry will be analysed. Registration for bilateral networking meetings follows initial registration for the conference. While registering, select the National Documentation Centre as support office, co-organiser of the networking meetings. The bilateral meetings are being jointly organised by the Ideal-ist network, National Contact Points ICT Horizon 2020 network and Enterprise Europe Network, of which EKT is a member. The ICT Conference 2018 will feature four key components converging around the theme Imagine Digital – Connect Europe, Conference, Exhibition, Networking opportunities (EEN-Ideal-ist) and Innovation and Start-ups forum. The programme for the main conference will include eminent speakers and discussions will focus on EU digital policy. A key issue to be discussed will be the campaign ‘Imagine 18’, which aims to reach all ages from teenagers to seniors, in order to highlight how citizens feel about the digital revolution and how it affects their daily lives. The public will be able to learn about successful research & innovation projects funded by the EU and even meet the leading organisations carrying out these projects. There will be the opportunity to participate in the Brokerage Event either offline-Face2Face or online. The meetings will be jointly organised by the Ideal-ist network, National Contact Points ICT Horizon 2020 and Enterprise Europe Network, of which EKT is a member. Participants will be able to meet and collaborate with individuals from academic and research communities, policy makers and business representatives. The Innovation and Start-ups forum will bring together innovative businesses opening new roads in the market and investors. Outcomes of EU research and innovation funding that can be commercially exploited will be presented. 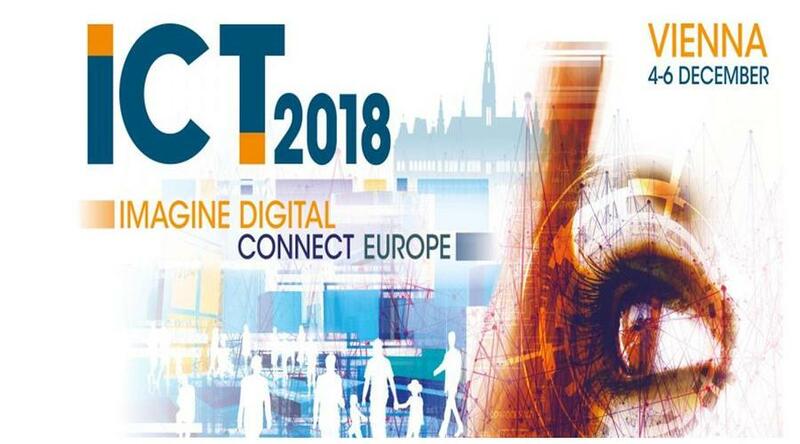 For further information and updates join the ICT 18 community on Twitter @ICT2018eu and #ICT2018. The National Documentation Centre, as co-ordinator for Enterprise Europe Network-Hellas, the largest Greek business support network, supports innovative and outward-oriented Greek businesses in gaining access to new markets and funding. It provides customised services for innovation management and scaling up businesses. It gives information on European policies and enables SMEs to participate in consultations on future initiatives. The Greek network mediates approximately 100 transnational partnerships per year.